Endogenous growth theory holds that economic growth is primarily the result of endogenous and not external forces. Endogenous growth theory holds that investment in human capital, innovation, and knowledge are significant contributors to economic growth. The theory also focuses on positive externalities and spillover effects of a knowledge-based economy which will lead to economic development. The endogenous growth theory primarily holds that the long run growth rate of an economy depends on policy measures. For example, subsidies for research and development or education increase the growth rate in some endogenous growth models by increasing the incentive for innovation. Technological innovation is an extended concept of innovation. While innovation is a rather-well defined concept, it has a broad meaning to many people, and especially numerous understanding in the academic and business world. The World Bank Chief Economist provides intellectual leadership and direction to the Bank’s overall development strategy and economic research agenda, at global, regional and country levels. 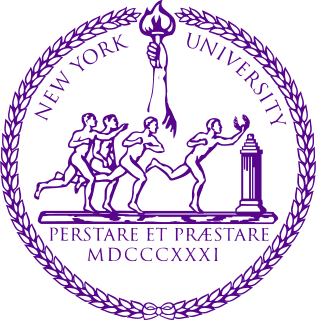 New York University (NYU) is a private research university spread throughout the world. Founded in 1831, NYU's historical campus is in Greenwich Village, New York City. As a global university, students can graduate from its degree-granting campuses in NYU Abu Dhabi and NYU Shanghai, as well as study at its 12 academic centers in Accra, Berlin, Buenos Aires, Florence, London, Los Angeles, Madrid, Paris, Prague, Sydney, Tel Aviv, and Washington, D.C. The University of Chicago is a private research university in Chicago, Illinois. The university is composed of an undergraduate college, various graduate programs and interdisciplinary committees organized into five academic research divisions and seven professional schools. Beyond the arts and sciences, Chicago is also well known for its professional schools, which include the Pritzker School of Medicine, the Booth School of Business, the Law School, the School of Social Service Administration, the Harris School of Public Policy Studies, the Divinity School and the Graham School of Continuing Liberal and Professional Studies. The university holds top-ten positions in various national and international rankings. The University of California, Berkeley is a public research university in the United States. Located in the city of Berkeley, it was founded in 1868 and serves as the flagship institution of the ten research universities affiliated with the University of California system. Berkeley has since grown to instruct over 40,000 students in approximately 350 undergraduate and graduate degree programs covering numerous disciplines. 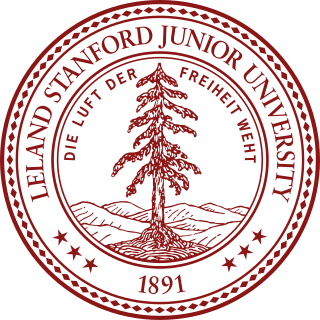 Leland Stanford Junior University is an American private research university in Stanford, California. Stanford is known for its academic strength, wealth, proximity to Silicon Valley, and ranking as one of the world's top universities. 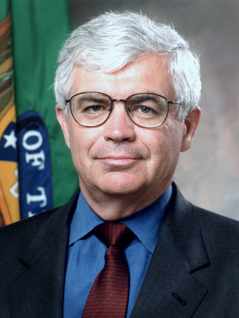 Roy Rudolf Romer is an American politician, who served as the 39th Governor of Colorado and served as the superintendent of the Los Angeles Unified School District from 2000 to 2006. Chris Romer is a former politician of the U.S. state of Colorado. Elected to the Colorado State Senate as a Democrat in 2006, he represented Senate District 32, which encompasses south Denver. 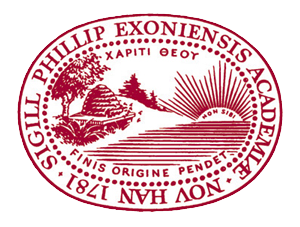 Phillips Exeter Academy is a coeducational independent school for boarding and day students in grades 9 through 12, and offers a postgraduate program. Located in Exeter, New Hampshire, it is one of the oldest secondary schools in the United States. Exeter is based on the Harkness education system, a conference format of student interaction with minimal teacher involvement. It has the largest endowment of any New England boarding school, which as of June 30, 2017, was valued at $1.25 billion. On January 25, 2019, William K. Rawson was appointed by the Academy's trustees as the 16th Principal Instructor. He is the 4th alumnus of Exeter to serve as Principal Instructor, after Gideon Lane Soule (1838–1873), Harlan Amen, and William Saltonstall (1946–1963). A Master of Arts is a person who was admitted to a type of master's degree awarded by universities in many countries, and the degree is also named Master of Arts in colloquial speech. The degree is usually contrasted with the Master of Science. Those admitted to the degree typically study linguistics, history, communication studies, diplomacy, public administration, political science, or other subjects within the scope of the humanities and social sciences; however, different universities have different conventions and may also offer the degree for fields typically considered within the natural sciences and mathematics. The degree can be conferred in respect of completing courses and passing examinations, research, or a combination of the two. Time is an American weekly news magazine and news website published in New York City. It was founded in 1923 and originally run by Henry Luce. A European edition is published in London and also covers the Middle East, Africa, and, since 2003, Latin America. An Asian edition is based in Hong Kong. The South Pacific edition, which covers Australia, New Zealand, and the Pacific Islands, is based in Sydney. In December 2008, Time discontinued publishing a Canadian advertiser edition. The H. C. Recktenwald Prize in Economics was awarded to several academic economists from 1995 to 2004. It is named for Prof. Horst Claus Recktenwald, a German economist, and was endowed by his wife, Hertha Recktenwald, after his death. Romer's research on economic growth followed extensive studies of long-run growth during the 1950s and 1960s. The Solow–Swan model, for example, established the primacy of technological progress in accounting for sustained increases in output per worker. His 1983 dissertation, supervised by José Scheinkman and Robert Lucas Jr., amounted to constructing mathematical representations of economies in which technological change is the result of the intentional actions of people, such as research and development. It led to two Journal of Political Economy articles published in 1986 and 1990, respectively, which started endogenous growth theory. Romer temporarily left academia in 2001 to found Aplia, a company which produces online problem sets for college students; Aplia was purchased in 2007 by Cengage Learning. "Preferences, Promises, and the Politics of Entitlement" (Individual and Social Responsibility: Child Care, Education, Medical Care, and Long-Term Care in America, Victor R. Fuchs (ed. ), Chicago: University of Chicago Press, 1995). "New Goods, Old Theory, and the Welfare Costs of Trade Restrictions," Journal of Development Economics, No. 43 (1994), pp. 5–38. James Tobin was an American economist who served on the Council of Economic Advisers and the Board of Governors of the Federal Reserve System, and taught at Harvard and Yale Universities. He developed the ideas of Keynesian economics, and advocated government intervention to stabilize output and avoid recessions. His academic work included pioneering contributions to the study of investment, monetary and fiscal policy and financial markets. He also proposed an econometric model for censored endogenous variables, the well-known "Tobit model". Tobin received the Nobel Memorial Prize in Economic Sciences in 1981. Kenneth Joseph "Ken" Arrow was an American economist, mathematician, writer, and political theorist. He was the joint winner of the Nobel Memorial Prize in Economic Sciences with John Hicks in 1972. Robert Emerson Lucas Jr. is an American economist at the University of Chicago, where he is currently the John Dewey Distinguished Service Professor Emeritus in Economics and the College. Widely regarded as the central figure in the development of the new classical approach to macroeconomics, he received the Nobel Prize in Economics in 1995 "for having developed and applied the hypothesis of rational expectations, and thereby having transformed macroeconomic analysis and deepened our understanding of economic policy". He has been characterized by N. Gregory Mankiw as "the most influential macroeconomist of the last quarter of the 20th century." Oliver Eaton Williamson is an American economist, a professor at the University of California, Berkeley, and recipient of the 2009 Nobel Memorial Prize in Economic Sciences, which he shared with Elinor Ostrom. Robert Merton Solow, GCIH, is an American economist, particularly known for his work on the theory of economic growth that culminated in the exogenous growth model named after him. He is currently Emeritus Institute Professor of Economics at the Massachusetts Institute of Technology, where he has been a professor since 1949. He was awarded the John Bates Clark Medal in 1961, the Nobel Memorial Prize in Economic Sciences in 1987, and the Presidential Medal of Freedom in 2014. Four of his PhD students, George Akerlof, Joseph Stiglitz, Peter Diamond and William Nordhaus later received Nobel Memorial Prizes in Economic Sciences in their own right. Lawrence Robert Klein was an American economist. For his work in creating computer models to forecast economic trends in the field of econometrics in the Department of Economics at the University of Pennsylvania, he was awarded the Nobel Memorial Prize in Economic Sciences in 1980 specifically "for the creation of econometric models and their application to the analysis of economic fluctuations and economic policies." Due to his efforts, such models have become widespread among economists. Harvard University professor Martin Feldstein told the Wall Street Journal that Klein "was the first to create the statistical models that embodied Keynesian economics," tools still used by the Federal Reserve Bank and other central banks. The Chicago school of economics is a neoclassical school of economic thought associated with the work of the faculty at the University of Chicago, some of whom have constructed and popularized its principles. Cliometrics (klīəˈmetriks), sometimes called new socialhistory, or econometric history, is the systematic application of economic theory, econometric techniques, and other formal or mathematical methods to the study of history. It is a quantitative approach to economic history. The term cliometrics comes from Clio, who was the muse of history, and was originally coined by the mathematical economist Stanley Reiter in 1960. There has been a revival in 'new economic history' since the late 1990s. Robert Joseph Barro is an American macroeconomist and the Paul M. Warburg Professor of Economics at Harvard University. The Research Papers in Economics project ranked him as the fifth most influential economist in the world, as of March 2016, based on his academic contributions. Barro is considered one of the founders of new classical macroeconomics, along with Robert Lucas, Jr. and Thomas J. Sargent. He is currently a senior fellow at Stanford University's Hoover Institution and co-editor of the Quarterly Journal of Economics, the top journal in economics in terms of its impact factor. John Brian Taylor is the Mary and Robert Raymond Professor of Economics at Stanford University, and the George P. Shultz Senior Fellow in Economics at Stanford University's Hoover Institution. Thomas John "Tom" Sargent is an American economist, who is currently the W.R. Berkley Professor of Economics and Business at New York University. He specializes in the fields of macroeconomics, monetary economics and time series econometrics. As of 2014, he ranks fourteenth among the most cited economists in the world. He was awarded the Nobel Memorial Prize in Economics in 2011 together with Christopher A. Sims for their "empirical research on cause and effect in the macroeconomy". Edmund Strother Phelps is an American economist and the recipient of the 2006 Nobel Memorial Prize in Economic Sciences. Karl Shell is an American theoretical economist, specializing in macroeconomics and monetary economics. 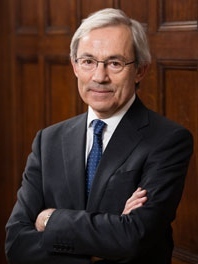 Sir Christopher Antoniou Pissarides is a British-Cypriot economist. He is the School Professor of Economics & Political Science and Regius Professor of Economics at the London School of Economics, Professor of European Studies at the University of Cyprus and Chairman of the Council of National Economy of the Republic of Cyprus. His research focuses on topics of macroeconomics, notably labour, economic growth, and economic policy. In 2010, he was awarded the Nobel Prize in Economics, jointly with Peter A. Diamond and Dale Mortensen, "for their analysis of markets with theory of search frictions." William Dawbney Nordhaus is an American economist and Sterling Professor of Economics at Yale University, best known for his work in economic modelling and climate change. He is one of the laureates of the 2018 Nobel Memorial Prize in Economic Sciences. Nordhaus received the prize "for integrating climate change into long-run macroeconomic analysis". The Journal of Political Economy is a bimonthly peer-reviewed academic journal published by the University of Chicago Press. It covers both theoretical and empirical economics. It was established in 1892 by James Laurence Laughlin. Dynamic stochastic general equilibrium modeling is a method in macroeconomics that attempts to explain economic phenomena, such as economic growth and business cycles, and the effects of economic policy, through econometric models based on applied general equilibrium theory and microeconomic principles. Macroeconomic theory has its origins in the study of business cycles and monetary theory. In general, early theorists believed monetary factors could not affect real factors such as real output. 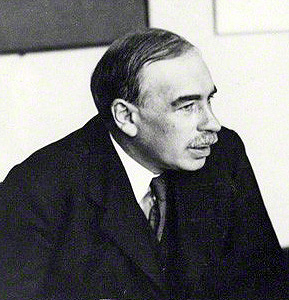 John Maynard Keynes attacked some of these "classical" theories and produced a general theory that described the whole economy in terms of aggregates rather than individual, microeconomic parts. Attempting to explain unemployment and recessions, he noticed the tendency for people and businesses to hoard cash and avoid investment during a recession. He argued that this invalidated the assumptions of classical economists who thought that markets always clear, leaving no surplus of goods and no willing labor left idle. 1 2 Romer, Paul Michael (1983). Dynamic competitive equilibria with externalities, increasing returns and unbounded growth (Ph.D.). The University of Chicago. OCLC 28795806 – via ProQuest. (Subscription required (help)). 1 2 "The Prize in Economic Sciences 2018 Press Release" (PDF). Nobelprize.org . October 8, 2018. 1 2 Donnan, Shawn (January 25, 2018). "Outspoken World Bank chief economist Paul Romer exits: Emails reveal clashes over issues ranging from grammar to methodology". Financial Times. 1 2 3 4 "World Bank economist Paul Romer quits after Chile comments". Reuters. 24 January 2018. Retrieved 8 October 2018. ↑ "N.Y.U. Lands Top Economist for Cities Project". New York Times . 2011-05-27. Retrieved 2011-05-27. 1 2 3 "CV (PAUL M. ROMER)" (PDF). ↑ "Paul Romer". paulromer.net. Retrieved 2018-10-08. ↑ "Risk and Return". Hoover Digest. No. 2. 1996. Archived from the original on 2012-08-02. 1 2 3 "The Politically Incorrect Guide to Ending Poverty". The Atlantic . July–August 2010. ↑ Warsh, David (2007). Knowledge and the Wealth of Nations. New York: Norton. pp. 196–201. ISBN 978-0-393-32988-9. ↑ "Time's 25 Most Influential Americans". Time Magazine . Time Inc. 1997-04-21. Retrieved 2007-12-21. ↑ Solow, Robert M. (1994). "Perspectives on Growth Theory". Journal of Economic Perspectives . 8 (1): 45–54. doi:10.1257/jep.8.1.45. JSTOR 2138150. ↑ Rosenthal, Jack (2009-07-31). "A Terrible Thing to Waste". The New York Times. Retrieved 2011-10-09. ↑ Gunn, Dwyer (2009-09-29). "Can "Charter Cities" Change the World? A Q&A With Paul Romer". The New York Times. Retrieved 2010-05-22. ↑ Josh Zumbrun; Ian Talley (12 January 2018). "World Bank Unfairly Influenced Its Own Competitiveness Rankings". Wall Street Journal. Retrieved 8 October 2018. 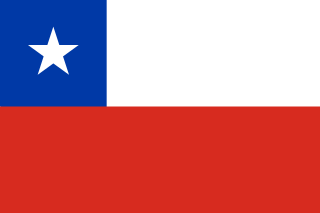 ↑ "Chile complains of World Bank unfair treatment". BBC. 15 January 2018. Retrieved 8 October 2018. In an interview given to the Chilean newspaper El Mercurio, the World Bank economist who had been responsible for the rankings, Augusto Lopez-Claros, said changes in methodology "took place in a transparent and open context," denying any political bias. ↑ Appelbaum, Binyamin (October 8, 2018). "2018 Nobel in Economics Awarded to William Nordhaus and Paul Romer". The New York Times. ↑ Kiernan, Paul; Sugden, Joanna (October 8, 2018). "Two Top U.S. Economists Win Nobel for Work on Growth and Climate: Research of William D. Nordhaus and Paul M. Romer has had immense impact on global policy making, the Academy says". The Wall Street Journal. 1986 James M. Buchanan Jr.
1995 Robert E. Lucas Jr.